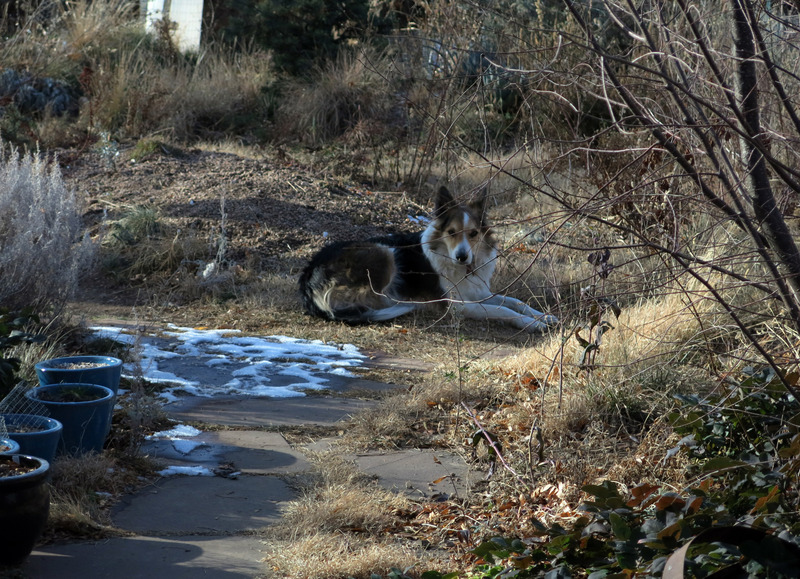 Greetings and salutations, everyone; yes, once again it is I, Mani the purebred border collie, filling in for the guy I live with, and here to bring you the latest news from our garden and its environs. You may remember me from such posts as “Horticultural Invective”, among so many, many others. 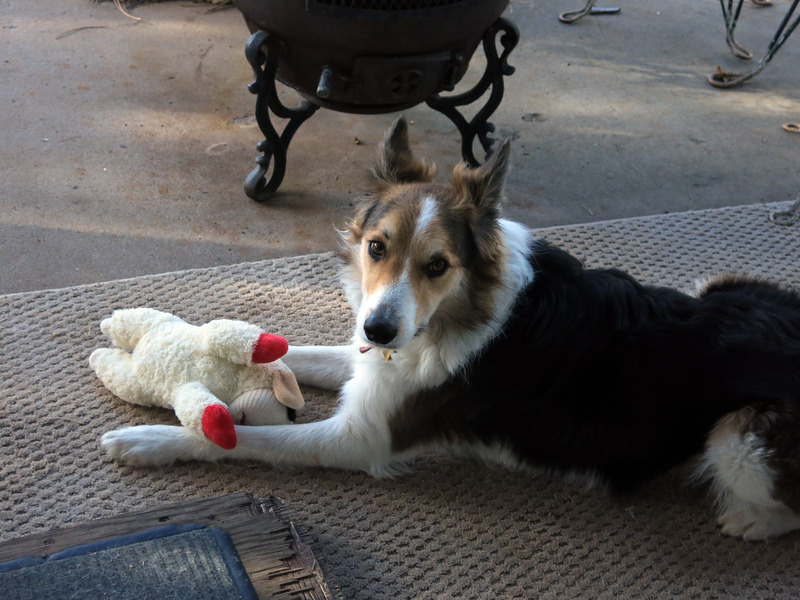 Here I am in a characteristic pose, with my friend Lamb Chop. The guy I live with said that the weather forecast tonight was for a “wintry mix”, which I didn’t understand, because all the precipitation in winter here comes as snow. He said at this time of year sometimes people think it might rain here, like it does elsewhere, and the forecast was probably due to an excess of nostalgia from people who moved here recently from rainy-winter climates. It doesn’t rain here in the winter. Ever. When people walk up to the front door this is what they see (if they’re looking). Not plants you’d see much of in a garden where it got cold and rained too, maybe. You can see me in that picture, and also the ocotillo which is leaning a bit too much. It needs to be propped upright again. It’s been dead for years. It was even sunny and nice yesterday. The guy I live with does admit that the junk in peoples’ back yard and the pickup spoil the pastoral scene here. 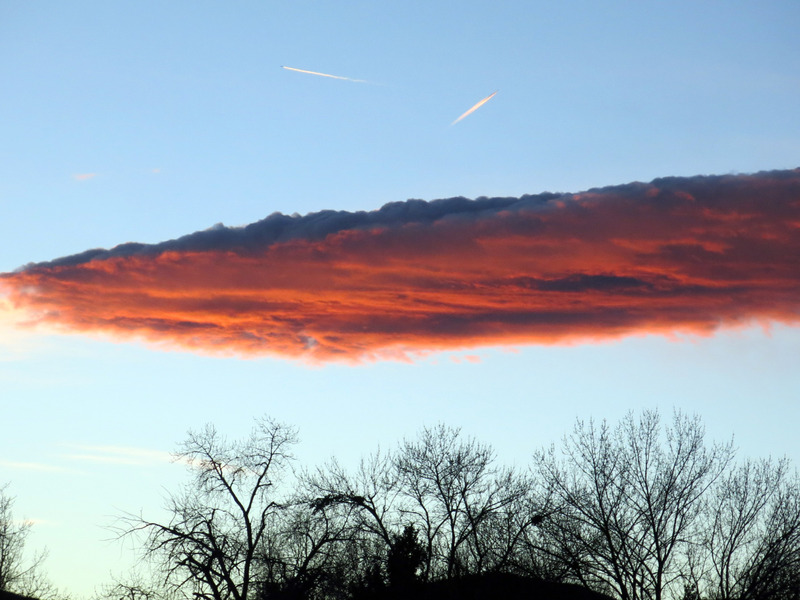 Then last night we had a sunset that the guy I live with said reminded him of the movie “Independence Day”. I’ve never seen it so I have no opinion. People are always telling him to watch this or that movie or read this or that book, and he never does. He read books when he was younger. This always upsets people. If they like something, they get upset when he doesn’t, or, to be more precise, when he’s indifferent. You should hear people talk when the guy I live with says he couldn’t name a single member of the local football team. The guy I live with has loved classical music since he was eight, and has met very few people in his life who felt the same way. That has never bothered him. Which makes the reactions of people who get upset when he doesn’t go crazy over something else even more peculiar. And so he says never to be disappointed if someone else doesn’t appreciate things you like, because the opposite is true, too. Like the guy I live with doesn’t care for chewing on pine cones, but I do. It didn’t freeze here last night. 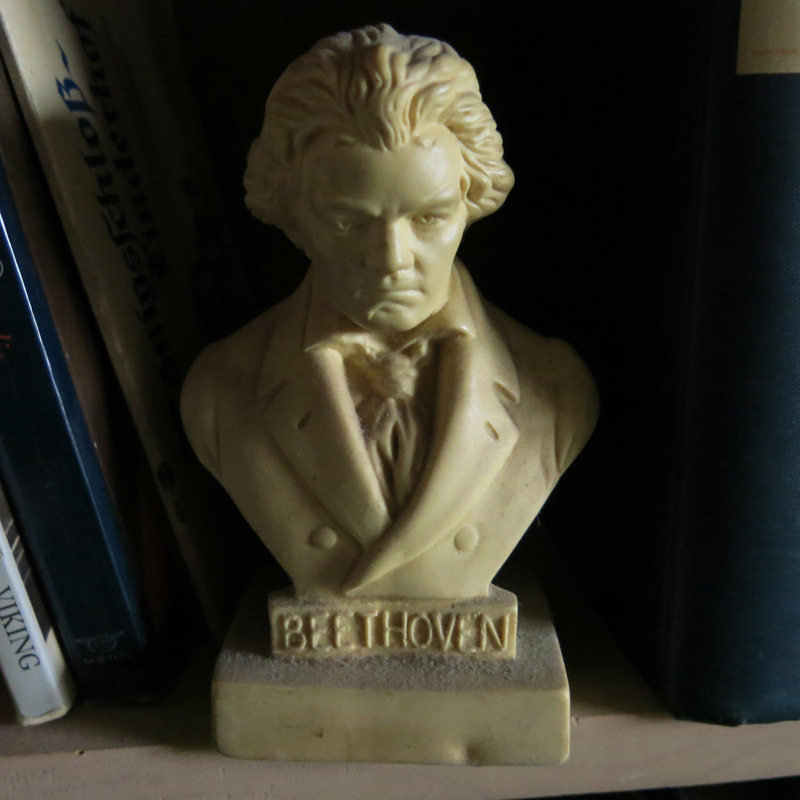 The guy I live with said it wouldn’t, on Beethoven’s birthday. It was a lot less sunny today, I guess in preparation for the “wintry mix” business. See what’s in the tree? We walked up to get a picture. 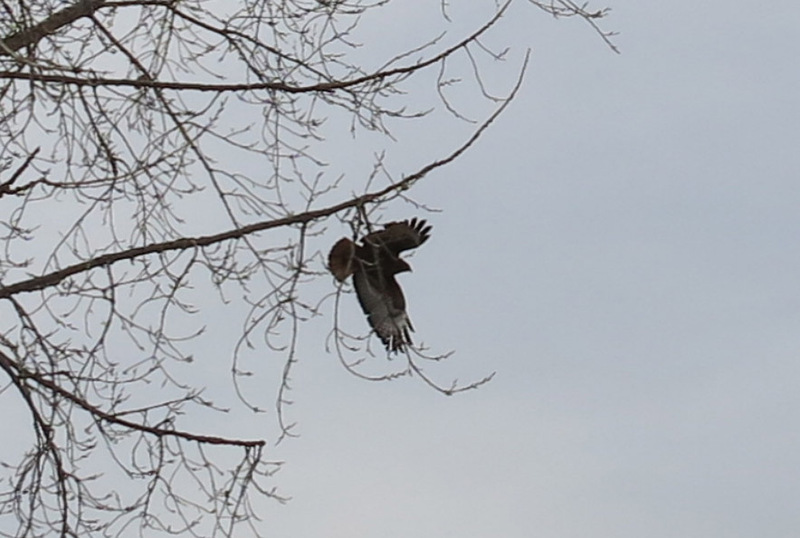 A big red-tailed hawk, but it flew away. 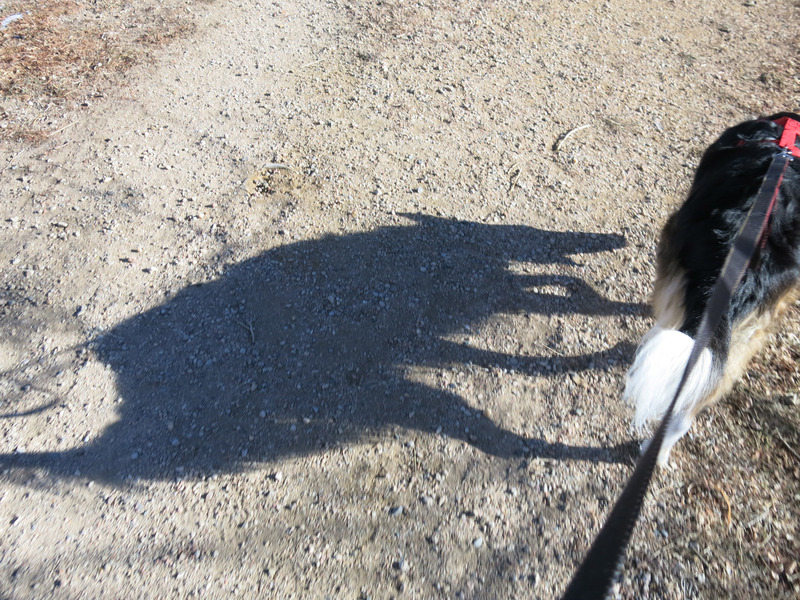 I was only able to do one shadow impression on my morning walk; I say this is an anteater. Later, the guy I live with got some bread (Alvarado Street Bakery, California style, if you wanted to know) out of the freezer, which I thought meant he was going to make toast, so I had to leave. He made sandwiches instead. Imagine my relief. I came inside after that. This is the time of year when he goes through old seed packets and thinks about them. Sometimes he does something. These will be soaked in water. 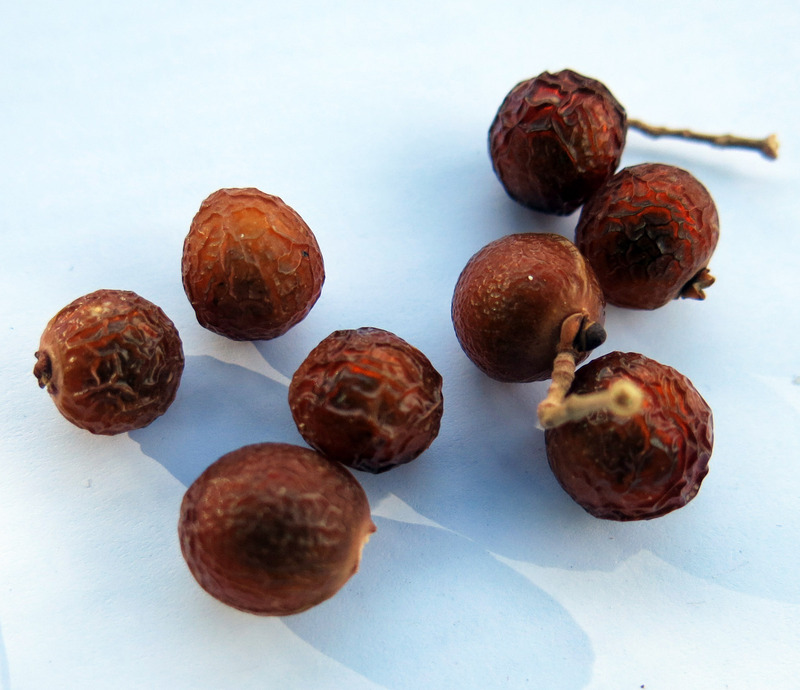 These are Sapindus drummondii, the western soapberry. He tried to germinate these once before and nothing happened. 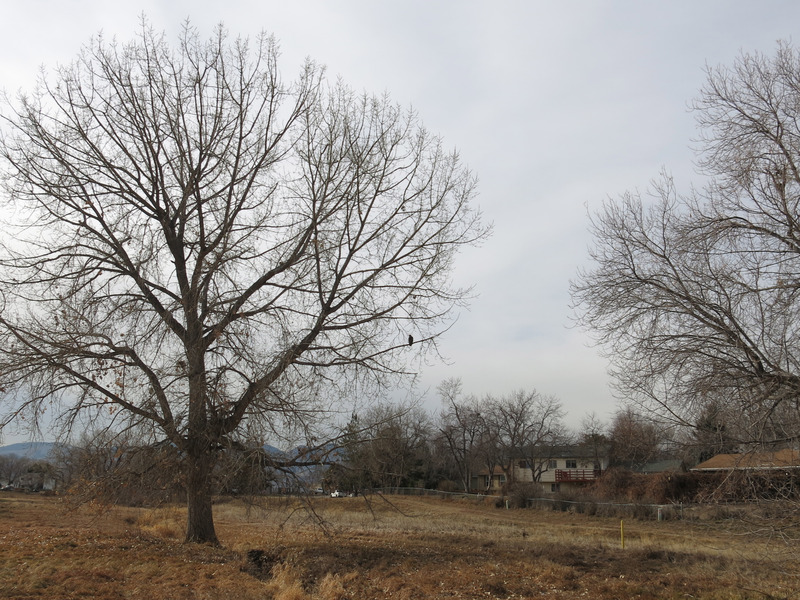 There’s a tree at Denver Botanic Gardens that makes him jealous. He said the fruit, which is a drupe, is translucent in the sun. The seed will be soaked so the outer shell can be peeled, and then the seed will be stratified in the refrigerator. Maybe something will happen. While he was doing that, I spent some time looking at the ground. Finally the guy I live with went over to see what I was looking at. Of course, having inferior vision, he looked and looked, but eventually saw the yellow-jacket in the pea gravel. It wasn’t in very good shape so he picked it up with two twigs and put it on the other side of the fence. Then there was the usual to-do about various things. The faucet was dripping. The guy I live with dreaded working on it, because last time there was a great deal of difficulty, unlike the first time which was easy. He ordered the replacement cartridges and they sat on the sink for a week. The faucet is a commercial Moen and was not cheap, and so the guy I live with put off “the inevitable struggle” until suddenly this evening he decided to do it. It took three minutes to do. The guy I live with said there was an unwritten rule that if you think something will take hours (if not days), it usually takes just a few minutes. But the opposite is true, too. He said there were many times, when he worked outside, that he thought a job would take half an hour and turned out needed two days to complete. 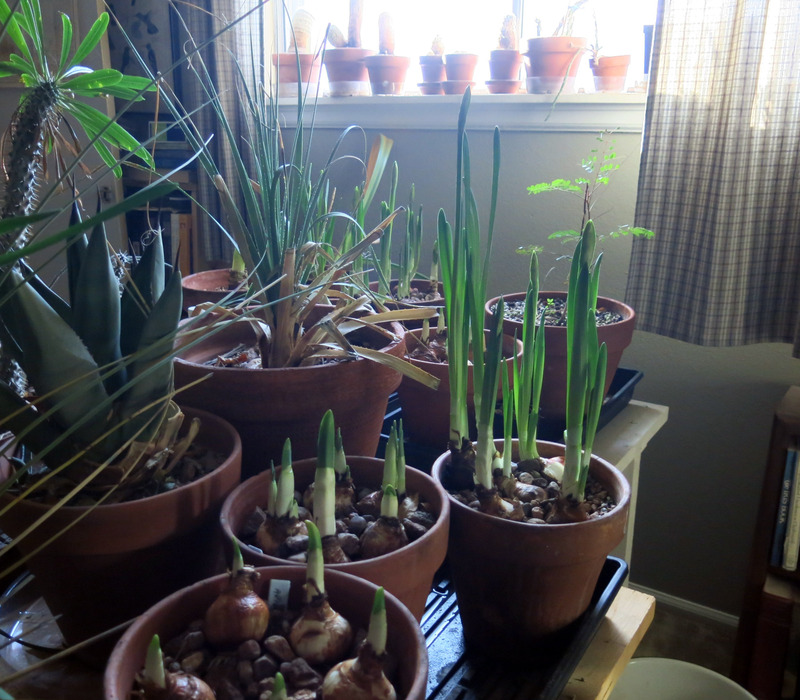 The paperwhites haven’t flowered yet but almost have. ‘Ziva’, which was purchased last, is ahead of the others. The Zivas are growing in homemade potting soil, and so get more water than the ones growing in just gravel (because the pots have drainage holes in the bottom). He said there is stuff online that talks about adding alcohol (vodka, gin, etc.) to the paperwhite water in order to prevent the roots from taking up too much water, thus keeping the plants shorter, but he said we’re not going to do that. I heard that purebred border collies liked alcohol; there was a story of a glass of red wine sitting on the kitchen table and then a lot of lapping noises and Slipper had drunk the whole glass of wine. And both Slipper and Chess liked things like stout and porter after the scary fizzing had died away. But I guess we’re really not supposed to be drinking alcohol. Back to the paperwhites, which are Narcissus papyraceus, the guy I live with said that the genus Narcissus has about seventy-five species (maybe a zillion according to some botanists) and that probably half of them flower in winter in their native habitats (around the Mediterranean Sea), so paperwhites aren’t the only ones that do this. The regular daffodil, probably originating from Narcissus pseudonarcissus (what a funny name) is a spring-flowering one, of course, but there are some which are reasonably hardy which sort of flower in the winter here. I say “sort of” because the leaves are hardy and the flowers usually aren’t. 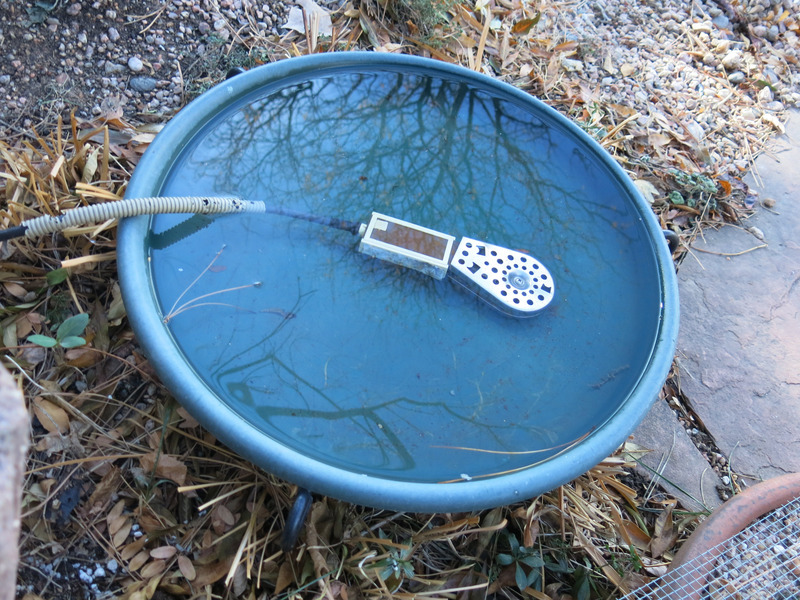 Outside, very little is happening. Here’s Crocus niveus thinking that this time of year might be ideal for flowering. It really isn’t. 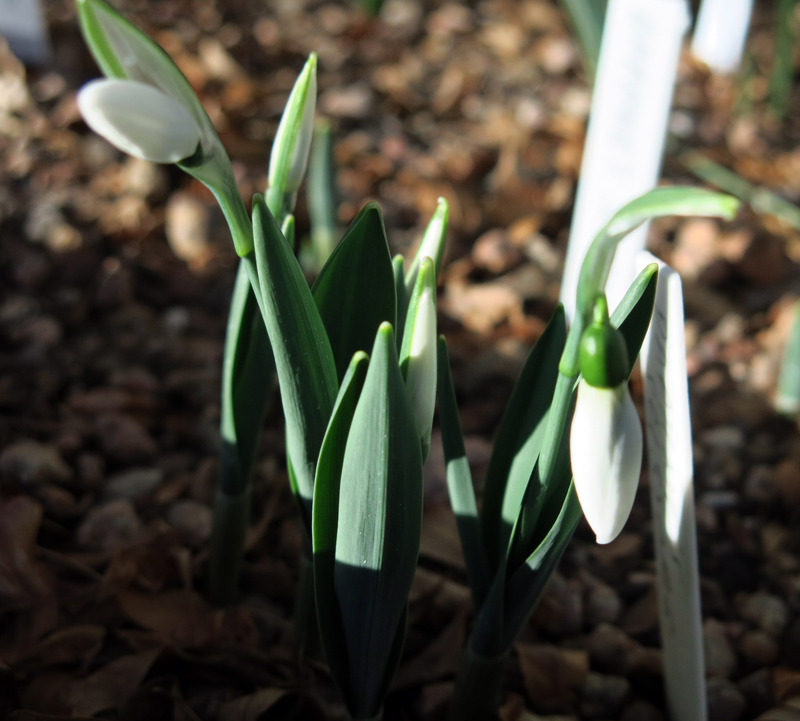 Snowdrops don’t mind the cold but the guy I live with has decided that the early-flowering ones need more sun. This is ‘Daphne’s Scissors’, in the Snowdrop Frame. There are other snowdrops sort of flowering out in the garden, and the guy I live with said that next spring they’ll all be moved to places where they’re in sun at this time of year. They don’t seem to like all the shade they get. I guess that’s pretty much all for today. 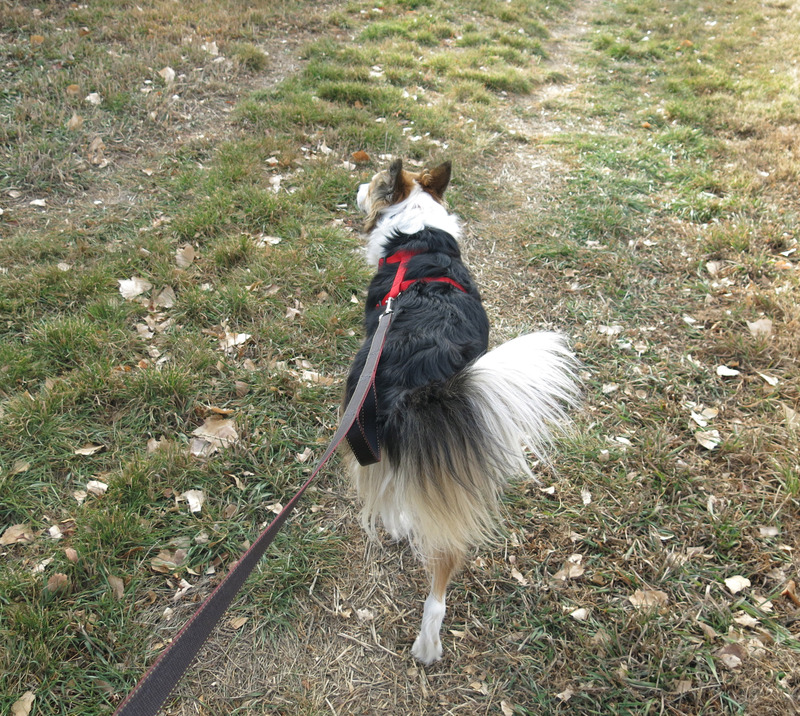 I’ll sign off which yet another picture of me on my walk, going by all the green bluegrass in the field. Hi Mani, Could not find you in that 2nd photo and then I spotted your sweet face in the window. Course I am 84, does that count? Thanks; that does count. The guy I live with can hardly see anything. Well, compared to me, anyway. You certainly have some cool specie in your garden. 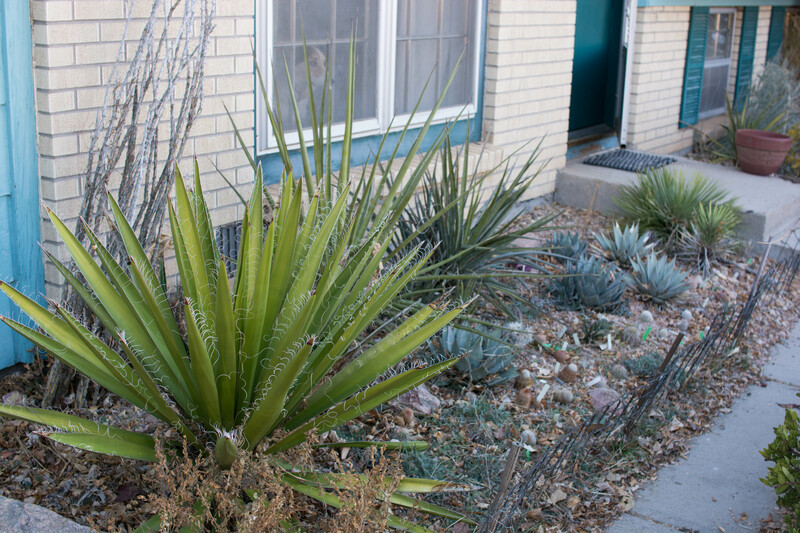 Are those more yuccas in your front garden, or just some weird agaves? The Sapindus drumondii is one that I am not familiar with, although the name suggest I should be. I brought back seed from what I believe to be Sapindus saponaria from Oklahoma. Two seedlings grew last year. 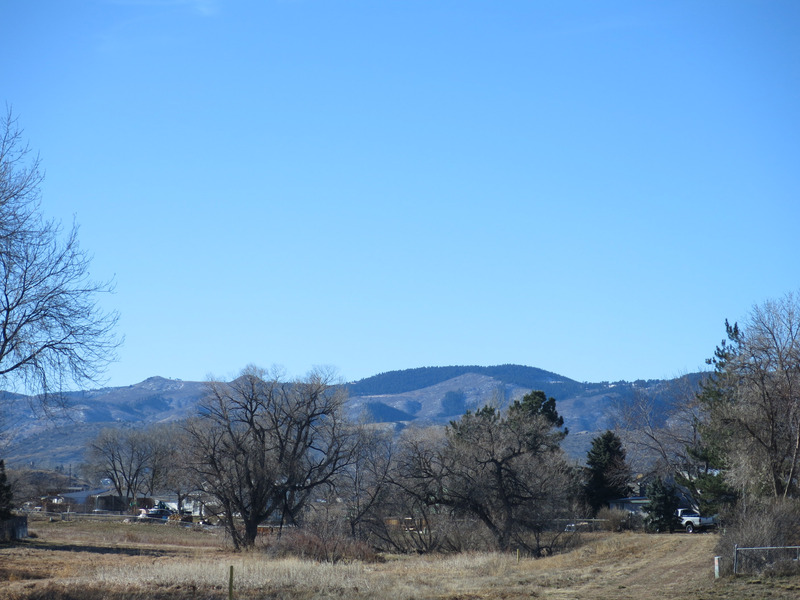 How do you know about Alvarado Street? It is in Monterey right across the Bay. I can see Monterey when I go to Santa Cruz. There are Alvarado Streets all over California. The guy I live with knows the one in Los Angeles, where he grew up. Probably named for the Mexican governor of California. But we get the bread, which the guy I live with says is baked in Petaluma, at the local health food store. Sapindus drummondii=S. saponaria subsp. drummondii; grows in Oklahoma. The yuccas are Yucca faxoniana (the big one in front), Y. torreyi, Y carnerosana, Y. linearifolia, and Y. brevifolia. And some agaves. WOW! The guy you live with has excellent taste in yuccas! Those are rad! they get BIG though! I did not recognize them as yuccas, especially the Yucca linearifolia and Yucca brevifolia. It makes sense now that you mention it. I also remember Sapindus drummondii now that you mention it. I think that the difference was the fuzz or hairs on the juvenile stems, which mine lacks. It is funny that someone else likes the tree. When I took the seeds, people looked at me funny for being interested in such a useless tree. Where in Los Angeles did the guy you live with live? I am supposed to be there in a few weeks, just north of the Santa Monica Freeway and west of La Brea Avenue. The guy I live with grew up in Long Beach, but his grandparents lived in Los Angeles, in Hollywood, in the 1950s. I was just in Long Beach in July. I had not been there in many years, even though I go to Los Angeles at least annually. The guy I live with was last there in 1961. He said probably nothing has changed. Like here. Goodness. A lot has changed! Hollywood is becoming a good neighborhood again. West Hollywood is really weird, but also a good neighborhood. Beverly Hills looks more Persian than Californian. Most other areas of Los Angeles has really gentrified. Long Beach has changed less than other areas, but has become more residential than industrial, and it does not smell like oil. The guy I live with said that he grew up with the smell of crude oil, and likes it. He remembers the Signal Hill oil fire, too. 1958. I have only heard about that. It was long before my time. “Darkness at noon”, according to the guy I live with. My Pa remembered it, but was many years before he went to Los Angeles. Our wintery mix is far less interesting. You sure made the best of it! Thanks. Nothing has happened yet, weather-wise. But I do lead an interesting life. Good morning Mani – I enjoyed your post today (although I always do of course). 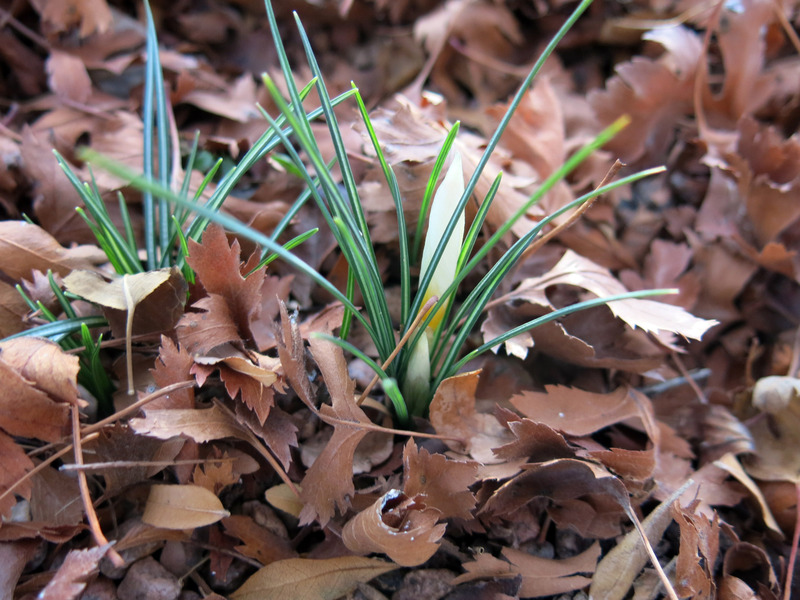 The paper whites are coming along a treat – can’t wait to see them in bloom. Now Mani a curious thing has occurred to me. The guy you live with and the guy I used to live with have a great love of classical music in common. The guy I used to live with was just crazy about it – I think his favourite composers were Rachmaninov and Stravinsky but he loved them all really I think. He wasn’t the best gardener in the world but did like looking at them – especially acers which he really loved. He liked to watch me gardening though! Thanks; the guy I live with said that he used to listen to other kinds of music, too, but after the lady of the house died he stopped, and gave away all the CDs. About two thousand LPs went to the library, and then just recently he took all the CDs from downstairs, which were hers, and donated those to the library, too. Getting rid of things, giving them away or donating them, has been a constant theme over the years, but things move slowly around here. I’m sorry you have to deal with a terrifying toaster. My brown hound felt just the same way, but eventually found that being on the other side of the table was enough protection. Some things are just unbearable, though: He took against a beverage cooler on the back porch so strongly that he wouldn’t use the back door, so that obviously had to go. 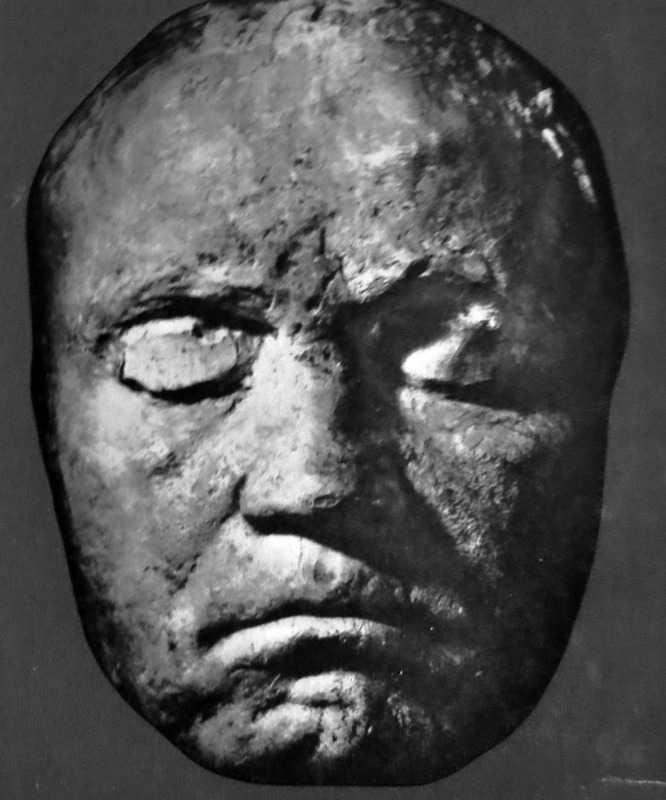 Thanks to TGYLW for the Beethoven images, particularly the life mask. We celebrated the birthday here with the 7th. You’re welcome; the guy I live with said he would listen to more but that he can hear it in his mind, anyway. The toaster is pretty scary. It’s not nearly as scary as the vacuum cleaner, though. 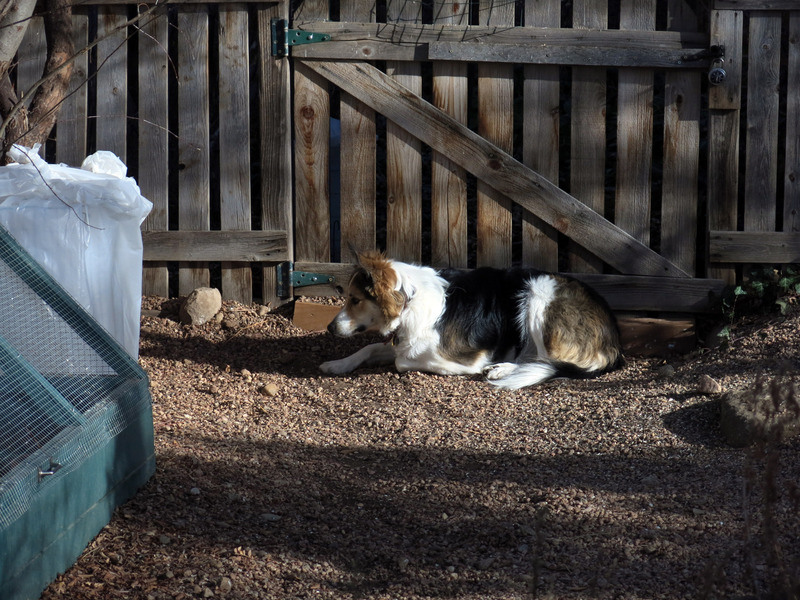 The first border collie who lived here would try to bite the bag, and in fact pulled the bag off the little portable vacuum cleaner, while it was being used. The guy I live with was at work and missed that. *Zot Zot Zot*, Mani. The guy you live with will explain. Has to do with your shadow and my being a graduate of UC Irvine. We seem to be having your weather out here, bright blue skies, sometimes cloudy skies, drydrydry and way low nighttime temps. No red-tailed hawks, alas, and yellow jackets are discouraged. I am all admiration over your fine indoor plant collection. Tell the guy you live with to bypass the toaster, take down the waffle-maker and panini his sandwiches. That’s what the guy who lives here does (I don’t eat sandwiches). The guy who lives here is also the source of Language in the face of “inevitable struggle.” You should hear him when the computer is slow to do his bidding — or maybe you shouldn’t. Definitely, your friend Lamb Chop should continue to live a protected, clean life. We have a concert this week, and dear Beethoven is on the program. I shall avoid picturing his death mask while I listen. The guy I live with says to say Life Mask. Beethoven was alive when the mask was made, in 1812. So that’s what he really looked like, though of course you can’t see his eyes. Waffle-maker? I’ll have to ask about that. I’ve never heard him say anything about waffles. I like the sound of that. Waffles. Now I have to ask the guy I live with why he didn’t name me that. The computer here is so slow, the browser in particular, that it’s like the old computer he had where the screen was in black and white and you had to type in commands and save things to big floppy disks. He got so impatient with the browser yesterday that the laptop crashed. Time for me to check on my Lamb Chop, fresh out of the dryer.